A restoring shampoo for normal to dry hair. Faith in Nature have blended vitamin E rich hemp and anti-oxidant meadowfoam, infused with ginger and essential oils of lemongrass and citrus fruits. 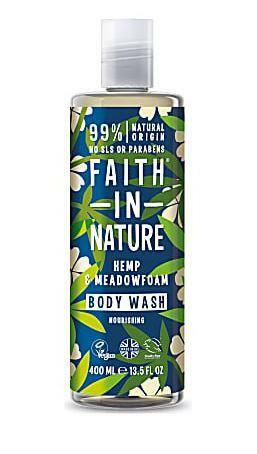 How to use Faith in Nature Hemp & Meadowfoam Shampoo; Massage gently into wet hair, rinse well and repeat if required. For best results, follow with Faith in Nature Hemp & Meadowfoam Conditioner. In case of contact with eyes, rinse with clean water immediately. If irritation occus, stop use. Keep out of reach of children.